Vous trouverez ci-dessous une liste la plus complète possible des spectacles joués dans ce théâtre. Nous y avons mentionné tous les 'musicals' connus de nous, ainsi que d'autres formes de spectacle (théâtre, danse, ...) s'ils nous semblent avoir marqué l'histoire du théâtre. In 1996, its interior was demolished and the space was combined with that of the former Apollo Theatre to create the Ford Center, now known as the Foxwoods Theatre. 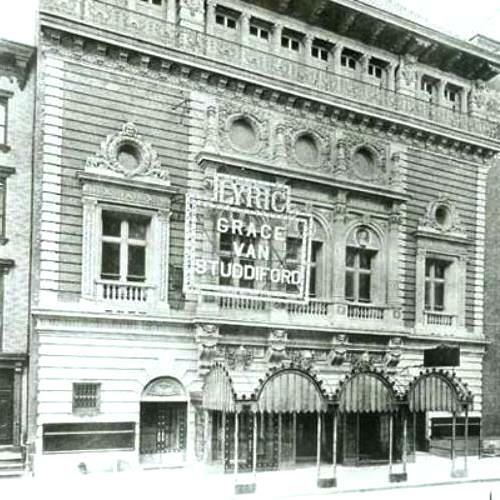 Both the 42nd and 43rd Street facades of the Lyric were preserved and today form the front and back entrances of the Foxwoods Theatre.